In 2010, a few of my friends went out on a biking trip to Leh & Ladakh, but due to heavy rains in Leh, they ended up visiting Spiti valley. Very recently, I happend to watch some footage of their trip and that’s when I realised I wanted to see Spiti with my own eyes. 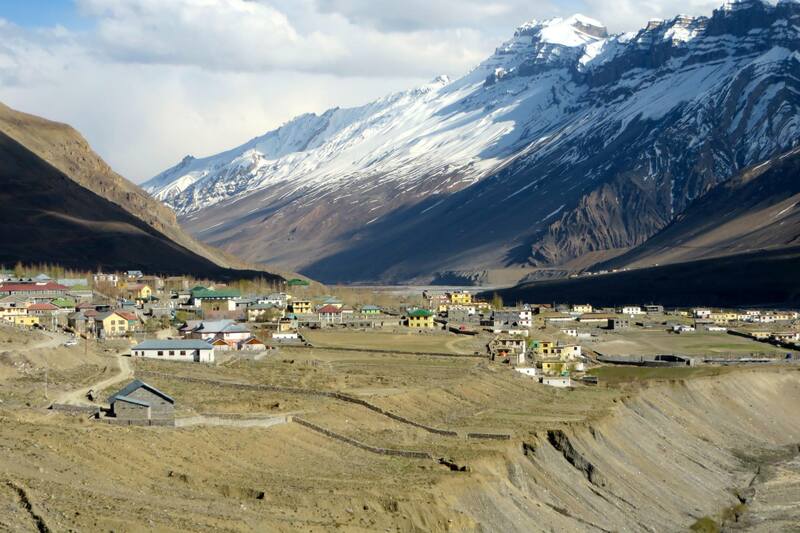 By the time we decided (me and my wife) to go on a trip to Spiti, it was just 1 week from the day we actually took off. We didn’t have enough time to plan an itinerary or book hotel. We just took off. I’d say it’s always fun going on a trip with an unwritten itinerary. We flew from Bangalore till Chandigarh. This is the second time I visted Chandigarh. I love this small very well planned city. We should have booked toy train from Chandigarh to Shimla earlier, hard luck! tickets were all sold out. We had to drive to Shimla instead. We stopped for brunch at one of the hundreds of Pujnabi Dhabas we came across. The parathas we had here were so yummy! Shimla was, as expected, way too crowded. Traffic jams slowed us down big time! We reached Kufri at around 4ish in the evening, we were in a dilemma whether to go for a horse back ride or not. Horse back ride would take anywhere around 2-4 hours, we chucked the plan and drove ahead towards Narkanda. We left the crowd behind in Shimla, and got to see the beauty of the Himalayas onwards. These roads were just heavenly. We stayed at a decent hotel in Narkanda. 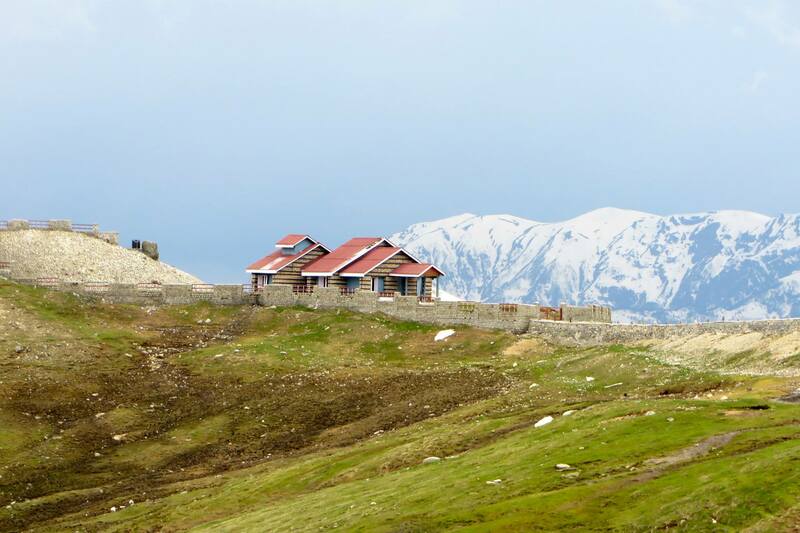 ​Narkanda is a small town, at an altitude of around 2700 meters and hosts a Ski resort. I would definitely reccomend a stay here rather than in Shimla. 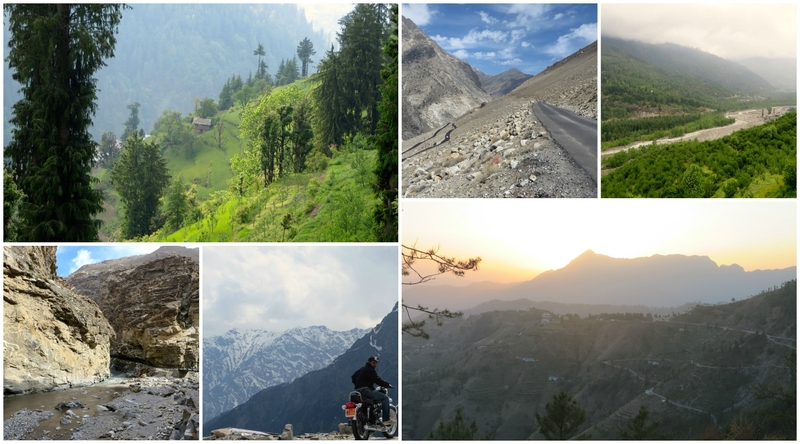 Our trip was all about our journey on the unpaved roads, scary bridges, dam construction sites, along the beautiful apple farms, rivers, streams,high altitude mountain passes and low valleys with an unplanned itinerary. I can try to write about my experience about the journey, but believe me there’s no substitute for being there. 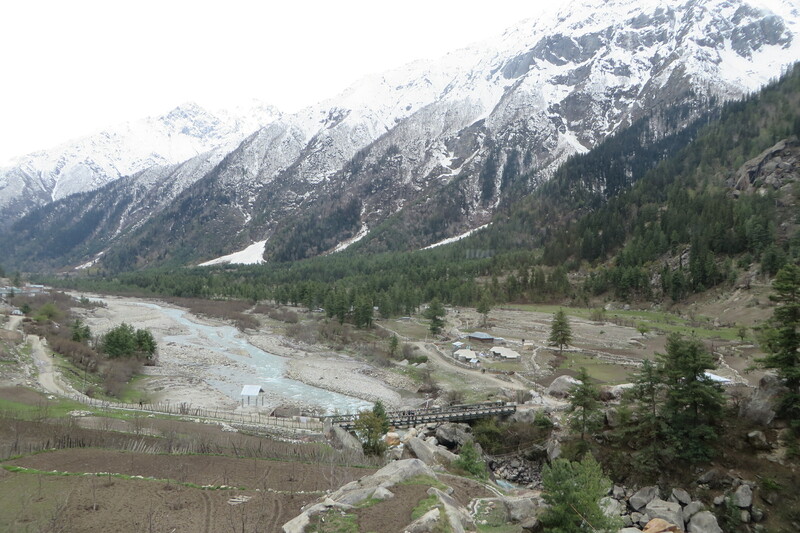 From Narkanda, it took us around 5 hours to reach Sangla Valley. We found this place to be so scenic, we decided to stay here We spent sometime in the evening hiking around. We found peple to be very hospitable people here. We stayed in a Hotel but we could also see a few tents hooked up in Apple farms, we should have rented tents instead but we’d already booked a room (at Cafe 42). I’d also suggest, if possible drive till Rakchamm and stay in Rakcham, which is an hours journey from Sangla towards Chitkul. 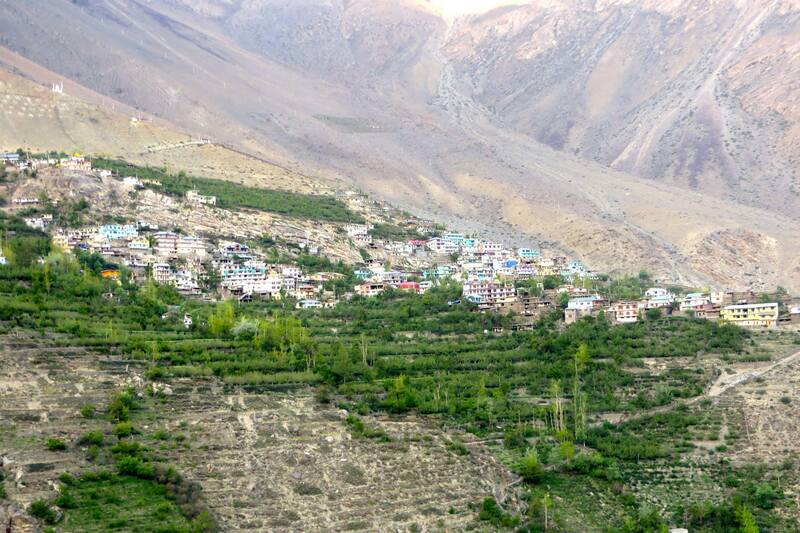 Our next destination Chitkul, the last village on the Indo-Tibet border. Okay, rather than explaining about the journey in words, i’l better post more pics. 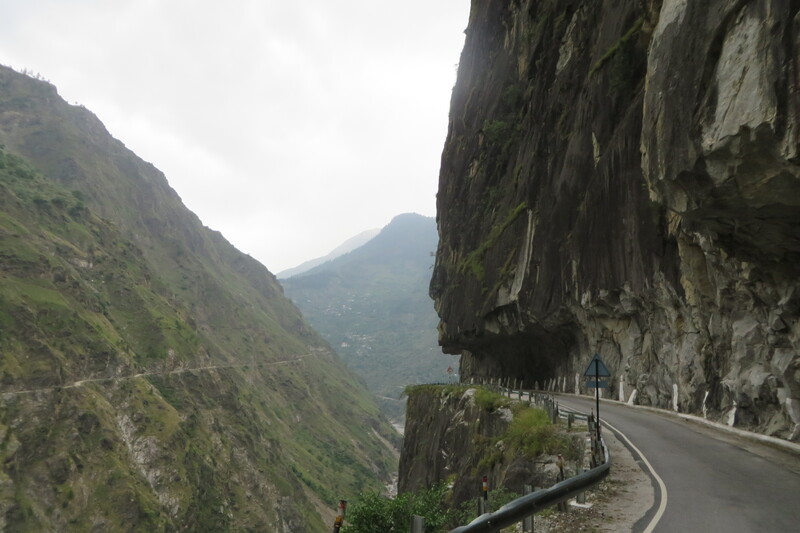 After our visit to Chitkul, we by-passed Reckong Peo and drove towards Puh (or Pooh). FYI, there’s a military base in Pooh, which hosts a movie theatre. Most probablt you could watch a Bollywood movie here, if interested. Along the Sutluj and Spiti rivers, drive only gets better and better (and deserted roads) onwards. We visited Nako and Tabo monasteries along. 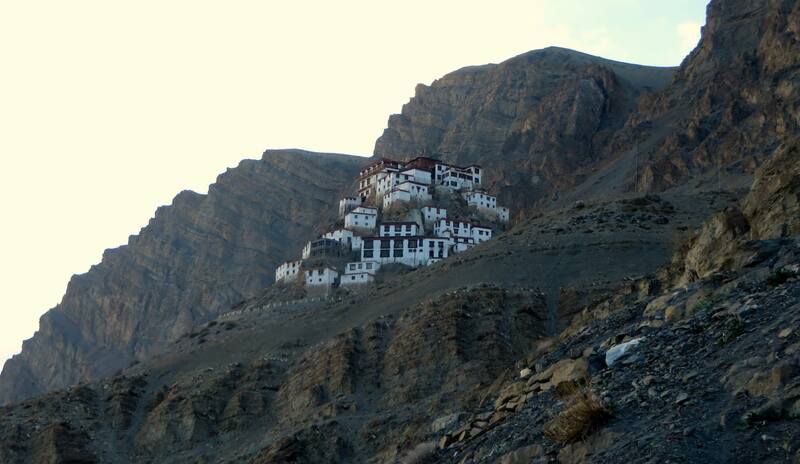 Both these monasteries are a ‘must visit’. We reached Kaza, in the evening. Electricity was out for the last 2 days. A blessing in disguise. If you love stars, you have to watch the Night skies from this place. There’s no way I can describe this place in words. 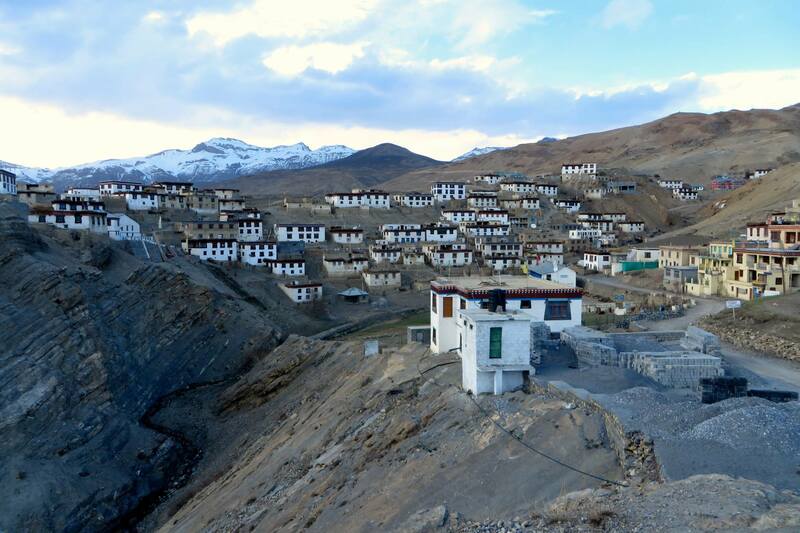 Kibber is an hours drive from Kaza and happens to be world’s highest village. We could’nt go further. Due to a snowfall, Kunzum pass was closed. We had to take a detour back towards Reckong Peo. From Tapri, we passed lush green Jalori Pass, towards Kullu. Kullu to Manali along Beas was fun a few years back. But now, I feel it’s a little too commercial and crowded. 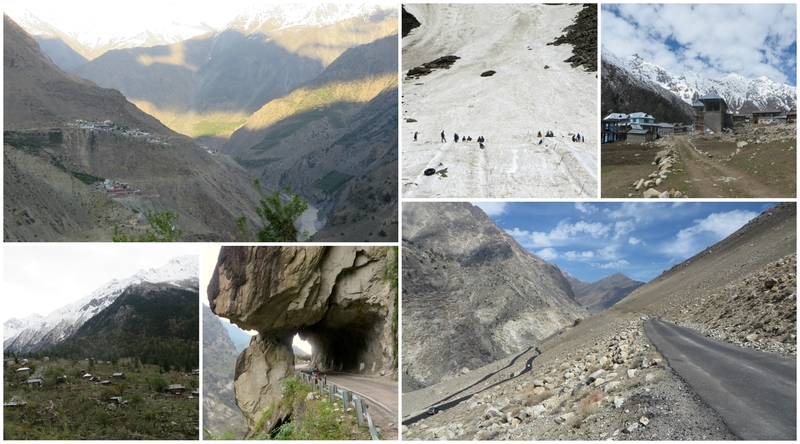 We spent a couple of days around Manali, we also made it to Roghtang Pass. 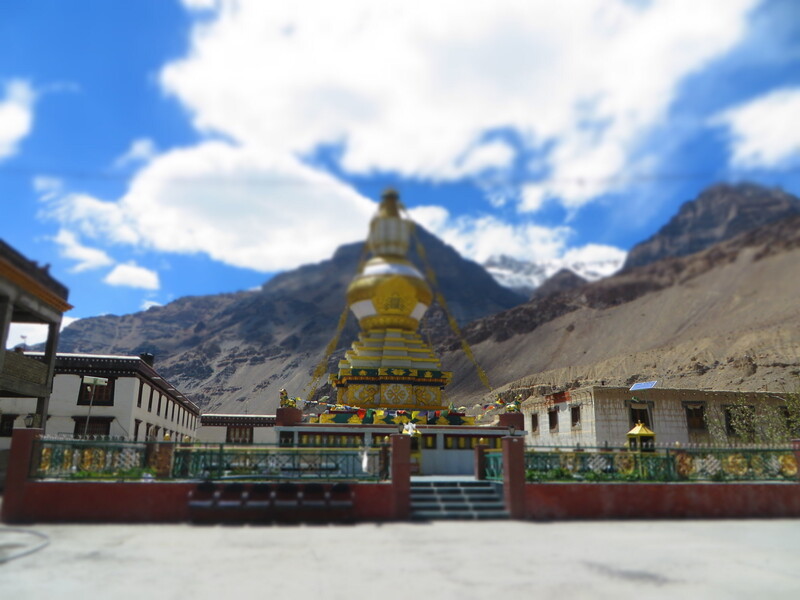 I got so used to traveling around Spiti that I felt like I could just go on and on. I felt like I should just stay back. This trip, to me, was was such a physical and spiritual gain. 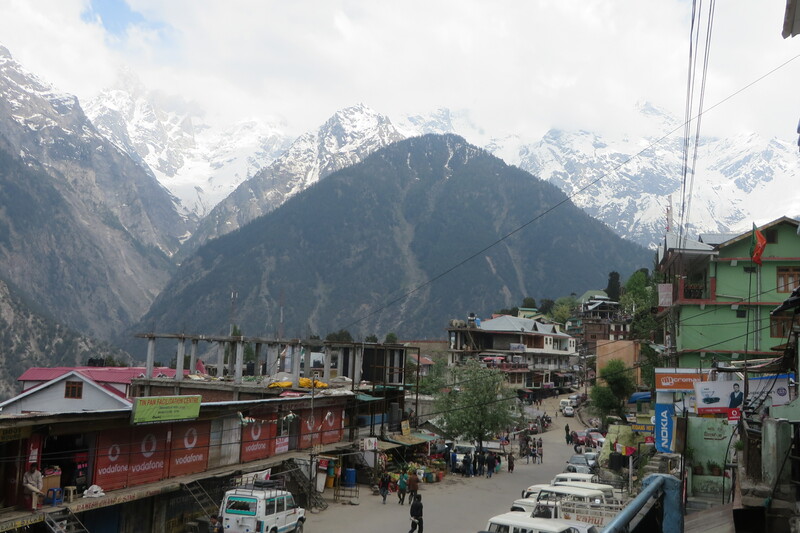 Address: Behind Narkanda Main Bus stand, there is a board behind temple about the hotel. I suggest if possible stay at Rakchamm. Adress: Tapri 1km from highway downhill. Best place to stay in Manali.